ABT (Autoblackthrough) sudah merupakan acara kontes modifikasi tahunan yang diadakan oleh Djarum Black. Pada tanggal 3-4 Desember lalu, Final Battle diadakan di JCC Senayan dan dihadiri sekitar 175 kontestan. Konon, ABT Final Battle kali ini memiliki jumlah kontestan terbanyak dalam sejarahnya. Well, but of course quantity could never justify quality. 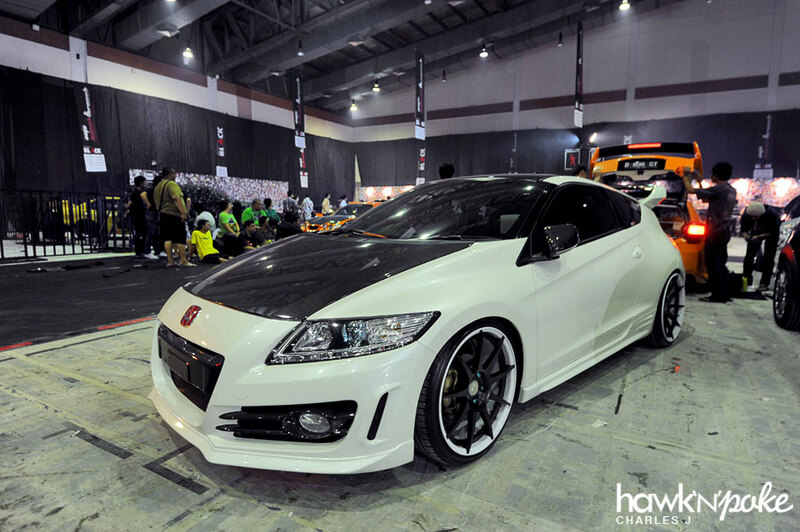 Ada beberapa karya modifikasi yang memang sangat bagus, tetapi ada juga lainnya yang extremely customized, lost the essence of the car. Terkesan ada ‘prinsip’ dimana makin custom and extreme itu makin bagus! Well, for us that’s so wrong! International judge, Tommy Ha, pun mengakui, menjadi judge di ABT ini is kinda difficult, very different from the states. Disana (US) para modifikator memaksimalkan kendaraannya berdasarkan model dan bentuk mobil yang ada. Well, haters gonna hate, but hawk’n’poke wouldn’t consider those “butterflies on wheels” as a properly reputable car. Sooo, let’s just enjoy these cars cherry-picked by hawk’n’poke! A black-on-black CLS dengan Vellano. It’s cars like these that deserve the reputations. Elegant, tastefully done mods amplifying what the car already has. 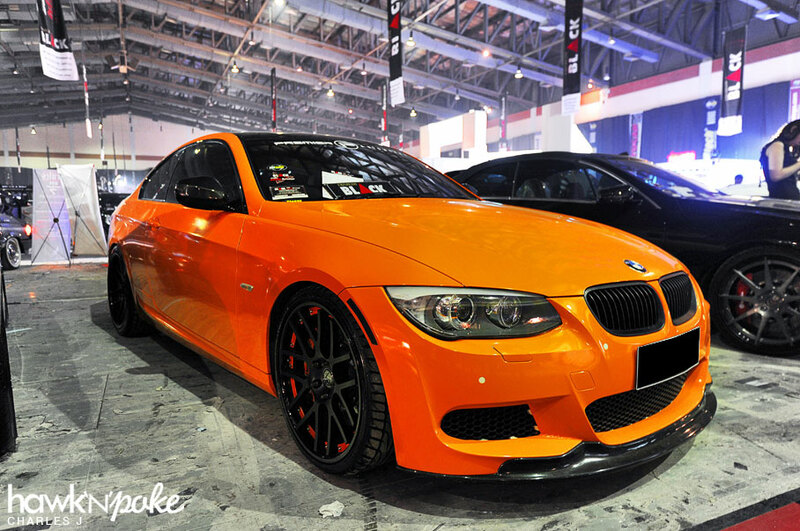 Orange 3-Series ini pasti terinspirasi dari M3 GTS 🙂 Matching orange touches on the rims are definitely pretty. 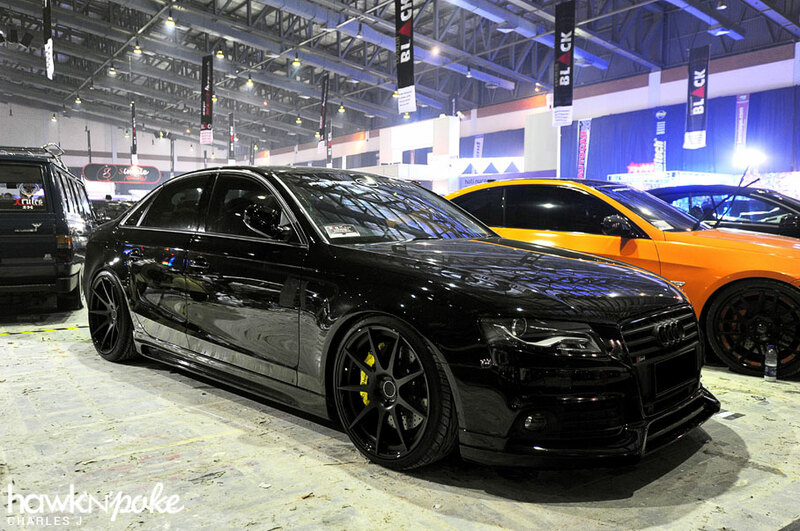 Another black-on-black, this one’s an A4 with Rieger body kit. Those 20″ concave wheels are simply gorgeous. 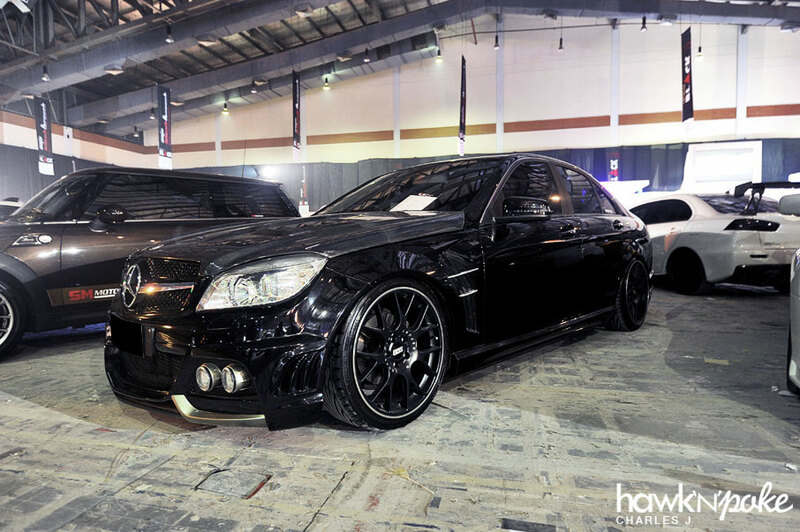 Sebuah W204 dengan Wald Black Bison body kit. 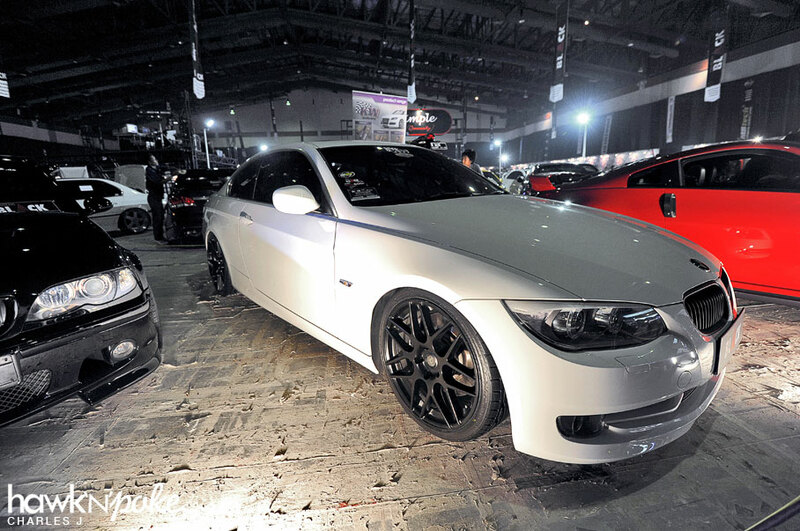 BBS CH yang dikenakan cukup populer pada event ini, quite a few cars were around with those wheels. This S2000 with BBS surely looks perfect for hitting the tracks. Not sure how fast this thing goes…but man this hybrid looks fast! 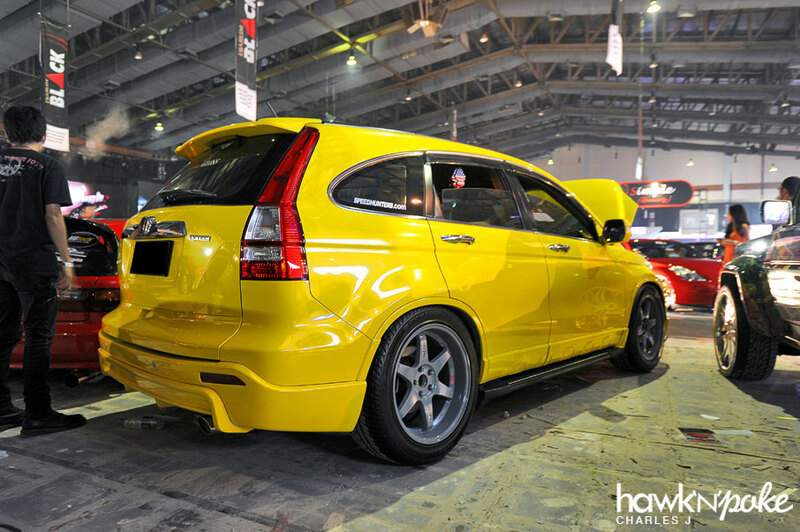 Warna kuning JDM ini seringkali found on Civic, Jazz and their buddies. Tapi harus diakui CRV dengan TE37 ini looks nicely unique. Vorsteiner rims pada E92 ini menjadi contoh bagaimana sometimes all you need is a good fit between the car and the rims for it to look good. 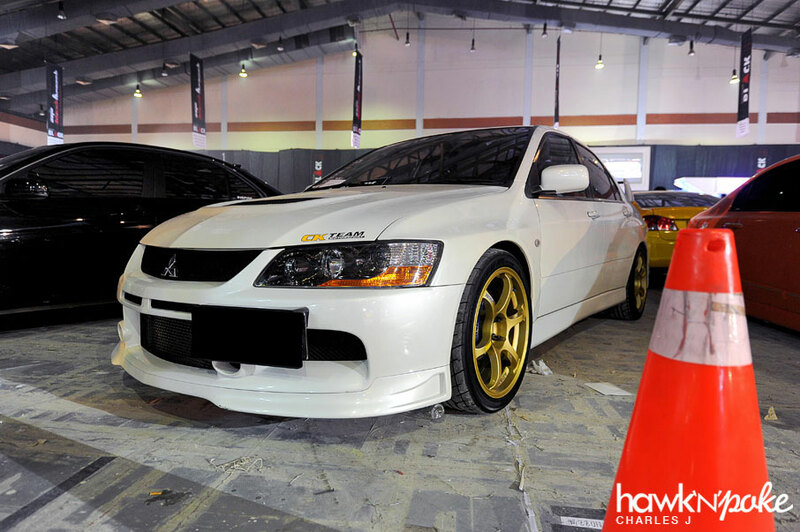 This Evo might not sit so low from the ground, tetapi pastinya showing its track-ready looks properly dengan Advan RG2-nya. 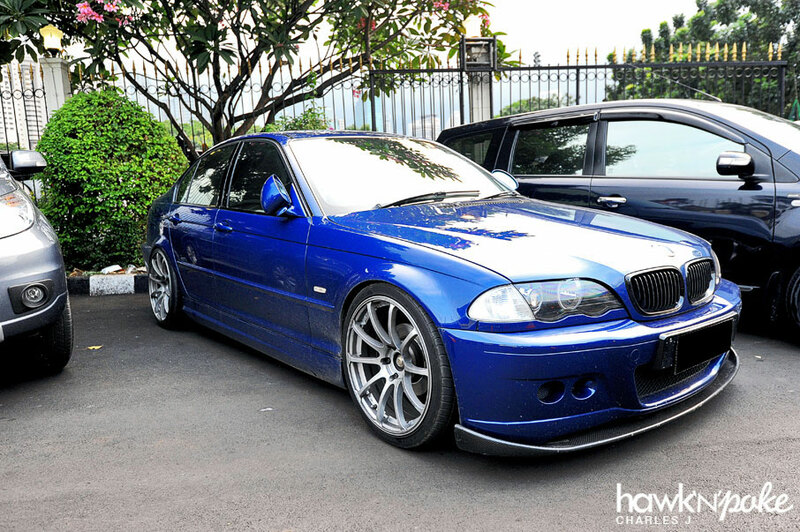 E46 biru dengan Advan RS ini kami temukan di area parkir. Looks pretty good! Hat tip to Charles J for these great pics! Nantikan Part 2 untuk menyaksikan mobil ABT lainnya yang truly deserve the attention and reputations. No other blog will cover ABT like we do!